Oh that is so beautiful! I just love the quilting you did on this. It's perfect for this quilt! Wow, what a beauty! 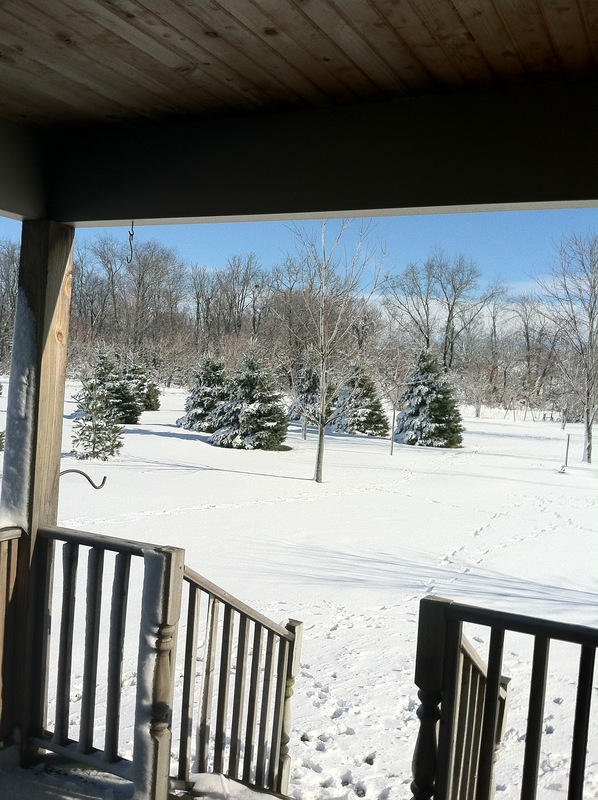 Glad Elaina is feeling better - enjoy the snow! Your client would be crazy not to be thrilled with it. I also looked at yours... You're awfully dedicated to do that quilting on a domestic machine, lady. Just sayin'! 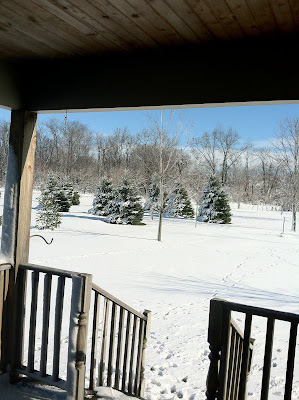 No snow here so I'm happy the state up north got it. 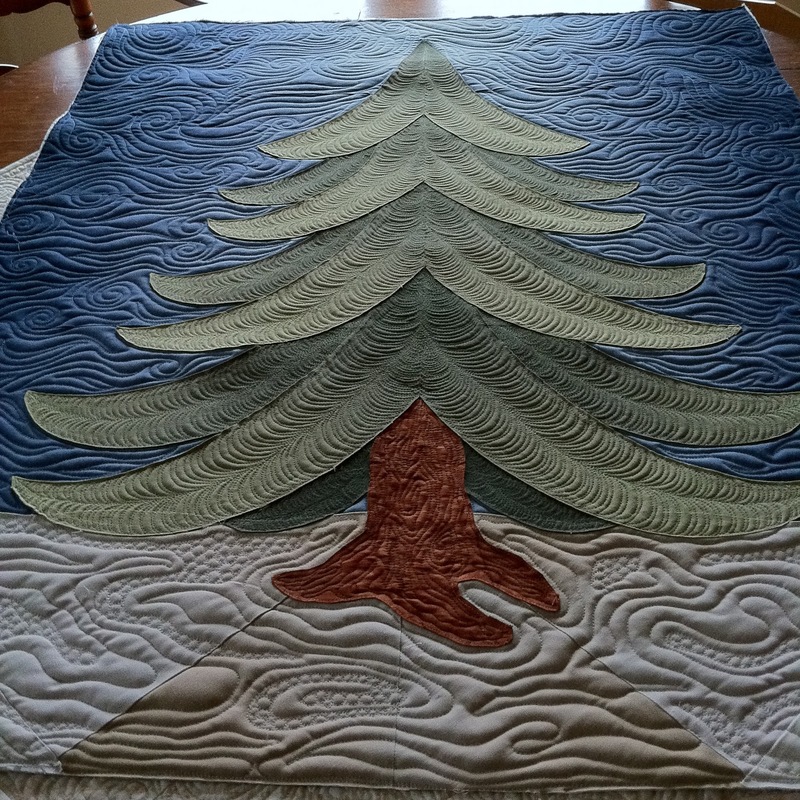 :o) Gorgeous texture your quilting gave the tree. Fabulous. I think strep is going around...my daughter was tested today...waiting for results. A friend just got over it. Ugh. Beautiful quilt. Love how you have quilted it. You got snow and we didn't get any. Can you believe that? It's usually the other way around. 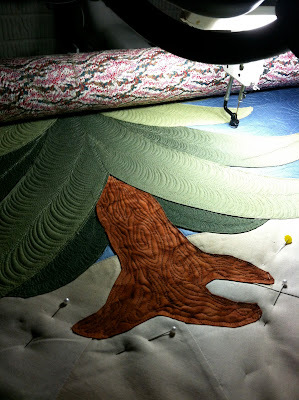 The quilting on Alpine wonder is breathtaking! Absolutely Gorgeous! Seriously - you are amazing! So glad Elaina is better! So stressful when your kids are sick I know. Alpine is gorgeous! The quilting just makes the quilt come to life. Awesome quilting!! I have seen this quilt many times but never quilted as stunning as this!!! So glad that Elaina is on the mend. 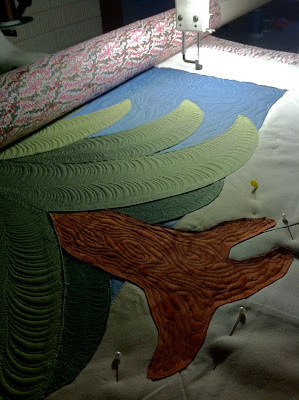 That is a gorgeous quilt and your quilting really makes everything come to life, just beautiful. Great that Elaina is on the mend! 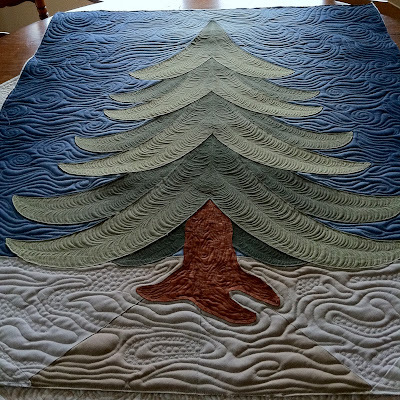 I've seen this quilt around a lot, but never have I seen it quilted to beautifully, Linda! The tree just dances and the snow is so real looking! It will sparkle like a hard frost over snow when June applies the crystals! WOW! Look at that quilt come to life. It looks fantastic!! Much easier on the long arm too I'll bet. Brrrrrrrrrrr I am cold when it is 70 degrees. I don't think I would make it there. That is a beauty of a quilt. I've seen it before as well and think your quilting is fantastic. Superior threads are always a joy to quilt with for me. I do have trouble with bottom line in my domestic machine (maybe one of those washer genie's would help, but I haven't tried it) so I just use So fine in the bobbin for it (dsm). oh my! that is very nice!!! Awesome job, you've made it really "pop out". Great work! That quilt is just AMAZING!!! You got a LOT more snow than we did! Ours was gone by the time I woke up. Glad Elaina is feeling better, girl! That quilt came out so beautifully! Your work is absolutely amazing - I hope you never get tired of hearing that. I can't believe I'm saying this, but I am so ready for the snow. I can't seem to get into decorating for Christmas without it. 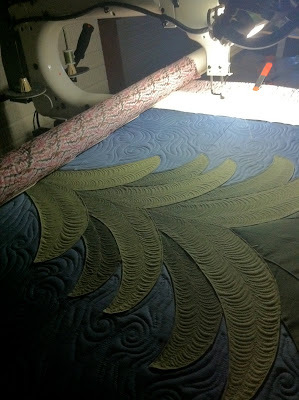 Absolutely beautiful, your quilting makes this project shine , you know exactly what works and I love it ! Glad Elaina is feeling better. It is tough when our kids are sick. You did such a great job on that quilt. I enjoyed each and every photo. The snow is beautiful. The quilting really enhances this quilt. Nice work Linda!! I can't wait for our first snow!! It's wonderful! I thought your was spectacular, yet you out did your self again. Just gorgeous! Wow. Wow. Wow. I'm sure June is as over the moon with this quilt as I am with the ones you did for me. Wow. Just wow. I absolutely love how you quilted this quilt. The background of the sky and the tree branches are so neat! I've seen this pattern and thought it would be fun to quilt it. You did an awesome job! Thanks so much for sharing. That is absolutely the coolest quilting! Your sky the ground the tree....I love everything about it! You did such a great job on this!! The quilting you did is spectacular!! Wow!! It really brought the tree to life! Snow, another wow! It looks beautiful :-) I hope your little patient is feeling much better. The texture you've given this quilt is fabulous! The snow looks beautiful but do you get fed up with living with it? Where I live snow is a rare novelty, I don't know how I'd like it if I had as much as you do. Cheers from Australia where summer is on its way. 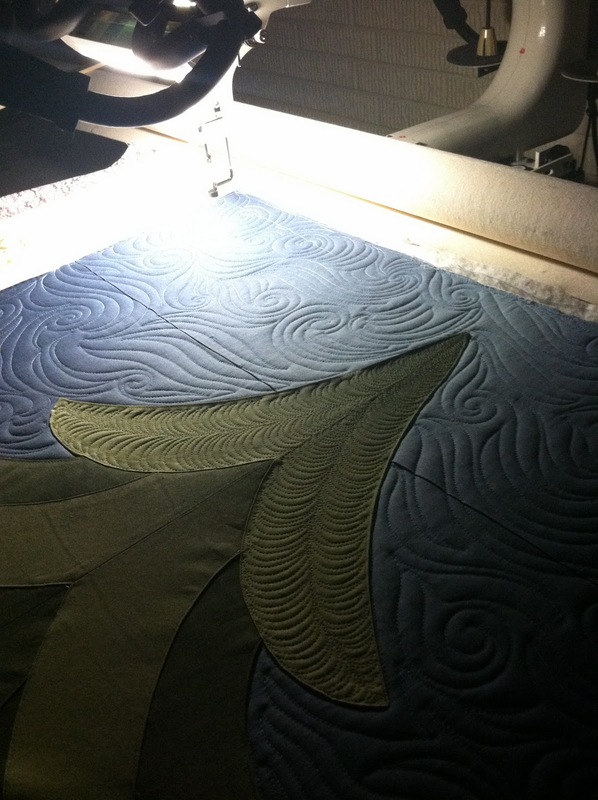 Beautiful quilting--- really brings the piece to life. Great job. This is my first visit to your blog, Linda. Geeze, what took me so long??? 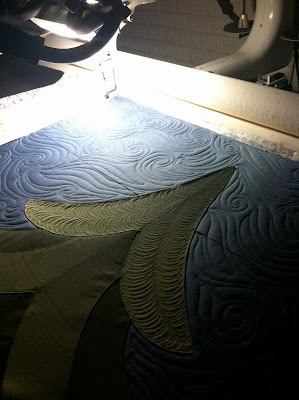 Your longarm quilting is beyond stunning. You certainly are an artist with your machine. It look amazing!! I have been tempted with the kit ever since I saw yours last year. LInda - that quilting is something else!!! Its absolutely fantastic....stunning in fact!! Linda that quiltinhg is something else!!! It looks absolutly fantastic - stunning in fact!!! As always, gorgeous. You really are amazing!